With more than 47 million Nintendo DS handhelds sold in the United States since the portable's launch in 2004, Nintendo is calling the DS the country's best-selling gaming system of all time. Does it really count? 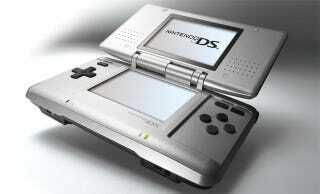 There's no doubt in anyone's mind that the Nintendo DS is one of the most successful gaming platforms of all time. It's a wonderful little machine that's never far from my side. I love my little dual-screened buddy. Still, it seems a bit unfair to compare its U.S. sales of 47 million to the PlayStation 2's more than 50 million sales in all of North America. It's not that Nintendo's number doesn't trump the percentage of Sony's PlayStation 2 consoles sold in the United States. It's more the fact that we're comparing the sales of one PlayStation 2 (two if you count the slim model) to four different versions of the DS - the original fat model, the DS Lite, the DSi, and the DSi XL. Each successive version of the DS improved the unit substantially, which drove many users to upgrade. There was no way I was walking around with the original DS once the sleeker, sexier, and brighter DS Lite came out, and when the DSi introduced the ability to download content and dual cameras, my DS Lite was traded in immediately. The number is still quite impressive. More than 47 million units sold in the U.S. alone is a remarkable achievement. It's just a little bit easier to achieve when you regularly release upgraded models. Even so, congratulations to Nintendo! Between the impressive DS numbers and the fact that the Wii has sold more than 7 million units for three years straight, they're still burning up the sales chart like nobody's business. What do you folks think? Can all four DS models be considered one system in this situation, or is this a case of four on one?